Crease is a concept for a low-cost, portable speaker. 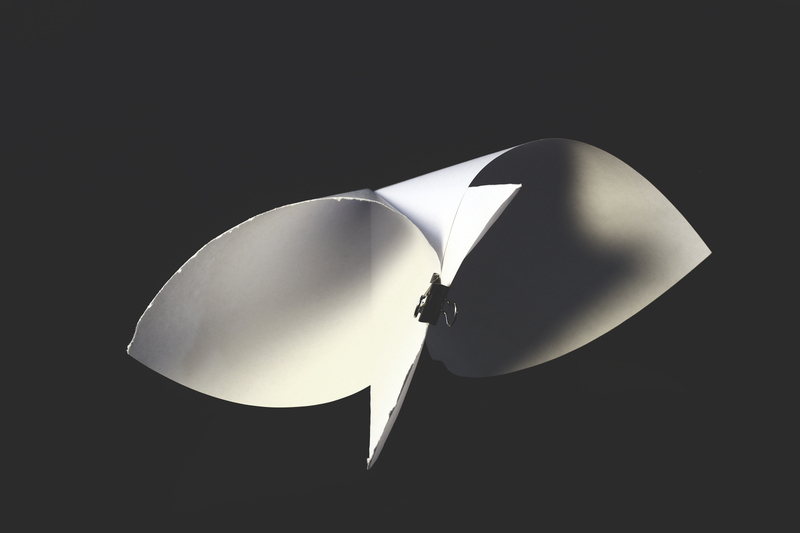 With a single fold, the paper speaker converts from a flat triangular shape to a double conical 3D sound enhancing form. 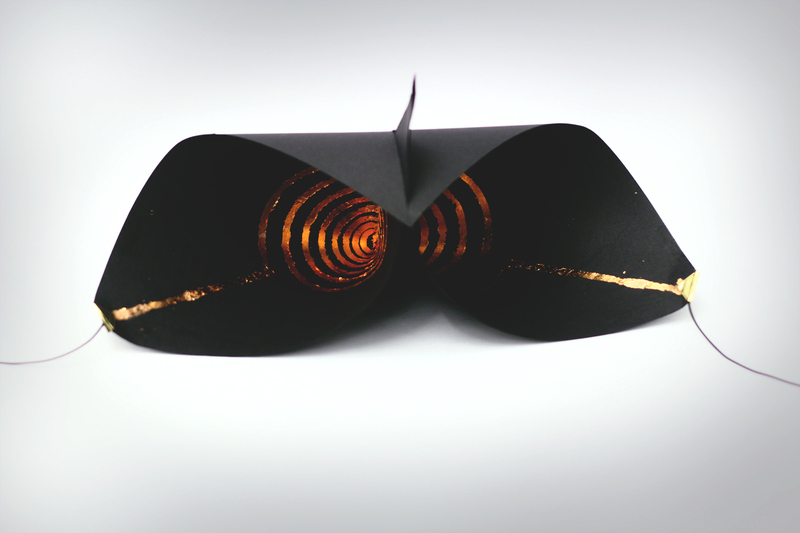 The paper’s materiality allows the speakers to be folded and unfolded innumerable times. A magnet is needed for the setup to work and it simultaneously functions as volume control since the distance between the magnet and the speaker’s center is proportional to the volume. The speaker can easily be transported in its folded shape; inside a laptop sleep, in a folder, etc. This allows for it to be used in occasions where music is needed without too much of a hassle. A convenient and simple item for a picnic or a temporary workplace for example. 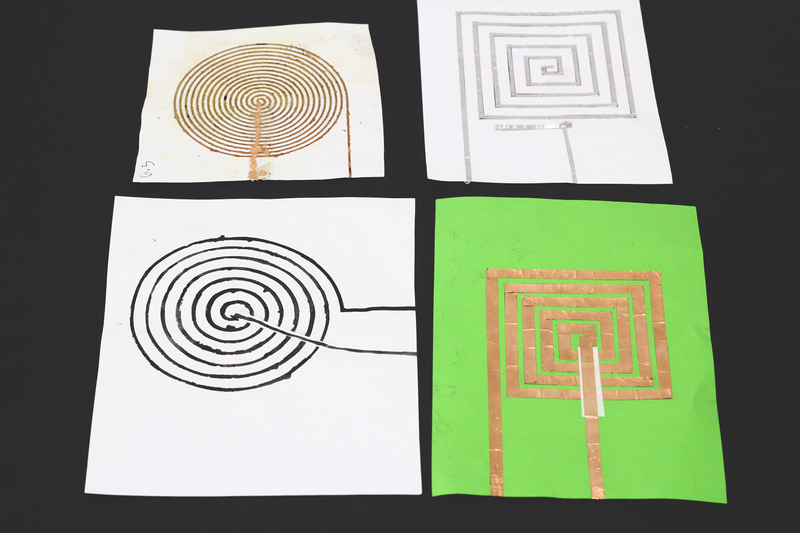 The ideation process started with experiments in paper to better understand, the material’s capabilities and qualities. At this stage, an earlier version of the final shape was devised. A couple rounds of iteration later, a slit was added to paper allowing the shape to conserve its configuration by itself without the need of paper-clips and such. Building on other experimentations published online (highlowtech.org/?p=1372), the spiral pattern was integrated into the system allowing the speakers to play music in the presence of a magnet. 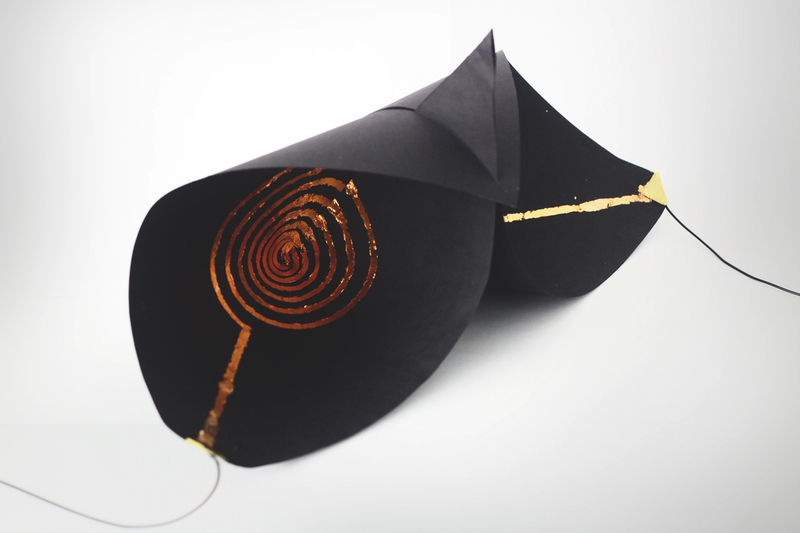 This happens due to the magnetic field created in the copper spiral when current flows through it. 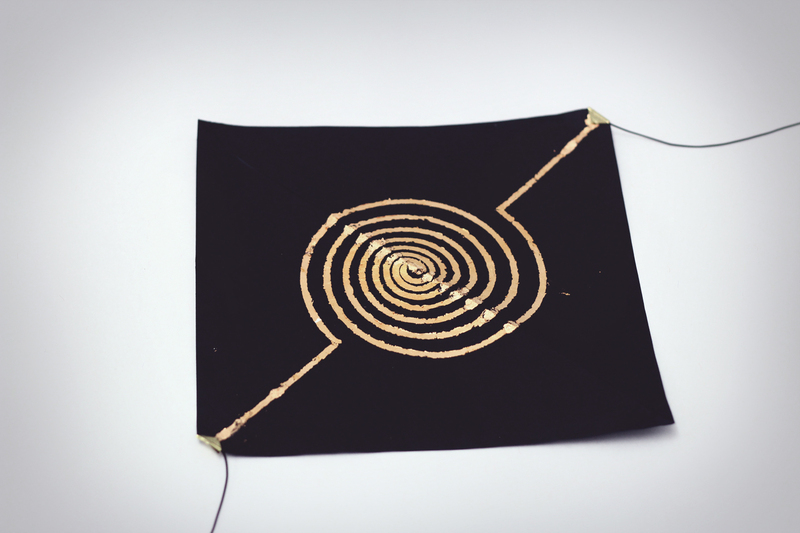 As the current (and signal) is transmitted through the spiral, the magnetic field interacts with the magnet causing the paper to vibrate and emit sound. For the first prototypes, an external power supply and a transistor connected to a micro-controller were also used. In the future, paper batteries and integrated circuit components can be used to make the speaker completely autonomous. 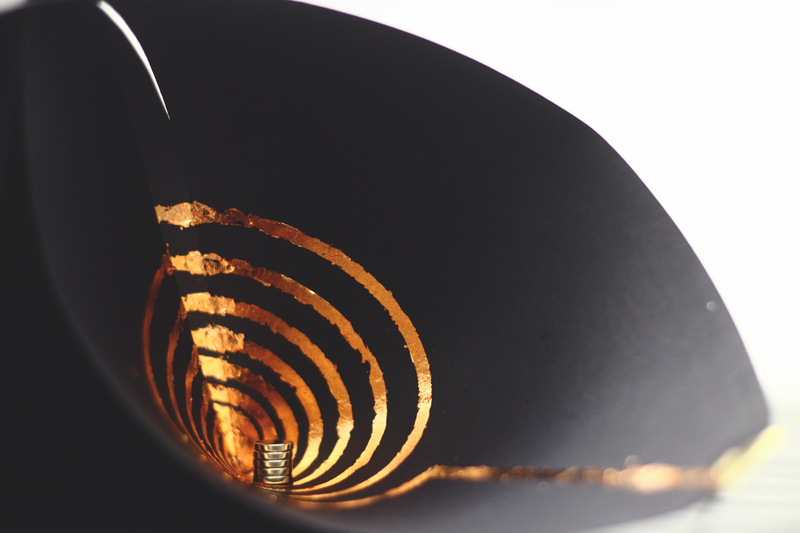 Crease Speakers from carolina menezes on Vimeo.